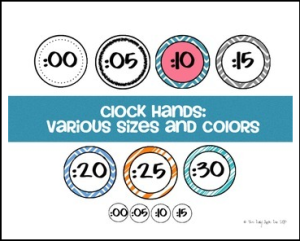 These clock hands are great to put around your classroom clock to help your kiddos remember the minutes. Choose to print one color, or make a pattern using many colors! If you don’t see a color that matches your decor, please email us to see if we can customize this product for you!